Researchers at The Ottawa Hospital and the University of Ottawa are studying whether improving teamwork and communication among operating room staff can make surgery safer for patients. Studies suggest that over half of surgery complications can be linked to problems with these “soft skills” during operations. Dr. Boet and his team have already studied the best ways to teach these skills during simulated scenarios. However, they did not have a way to measure whether these lessons were being applied in real-world operating rooms until now. 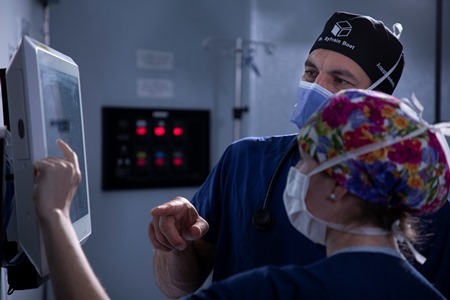 The research team partnered with Dr. Teodor Grantcharov and his team at St. Michael’s Hospital to implement an Operating Room Black Box® in one of the operating rooms at The Ottawa Hospital’s General Campus. This platform captures audio, video, patient vital signs and other information from the operating room environment. This information will be used to identify trends in teamwork and communication, which the researchers will link to how well patients did after surgery. Information captured by the OR Black Box® will be used for research purposes only, and faces and voices will be altered to protect privacy. 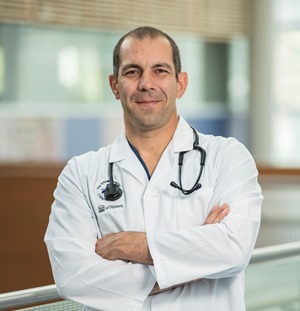 Dr. Sylvain BoetUnderstanding that surgery is already a stressful experience for patients, Dr. Boet’s team worked with patient advisors Maxime Lê and Laurie Proulx to find the best way to explain to people why information from their surgery might be captured. Patients are told about the OR Black Box® before their surgery, and can choose to opt out at any time. The Ottawa Hospital is the fourth hospital in Canada to implement the OR Black Box®, and the first one outside of the Toronto area. “By studying teamwork and communication, we can develop best practices that improve patient care, not only in Ottawa but around the world,” said Dr. Boet. Funding: The Ottawa Hospital Academic Medical Organization, the Canadian Institutes of Health Research, the Department of Anesthesiology and Pain Medicine, the Department of Surgery and the Department of Obstetrics and Gynecology. Team members and collaborators: Sylvain Boet, Nicole Etherington, Sandy Lam, Antoine Przybylak-Brouillard, Joseph Burns, Andrea Patey, Christopher Pysyk, Claudia Hampel, Glenn Posner, Greg Bryson, Innie Chen, Isabelle Raiche, Jamie Brehaut, Jeremy Grimshaw, Julie Kenna, Justin Presseau, Karine Lortie, Louise Sun, Mark Walker, Martin Cairns, Meghan Britton, Meghan McConnell, Michael Szeto, Monica Taljaard, Patrick Wong, Paula Doering, Simon Kitto, Sony Singh, Wesley Edwards, Zarah Monfaredi, Tracey Adams, Justine Baron, Arija Birze, Lisa Calder, Melissa Duffy, Teodor Grantcharov, Claudia Hampel, Chantal Menard, Claudia Smith.